It’s time to get all organized again! 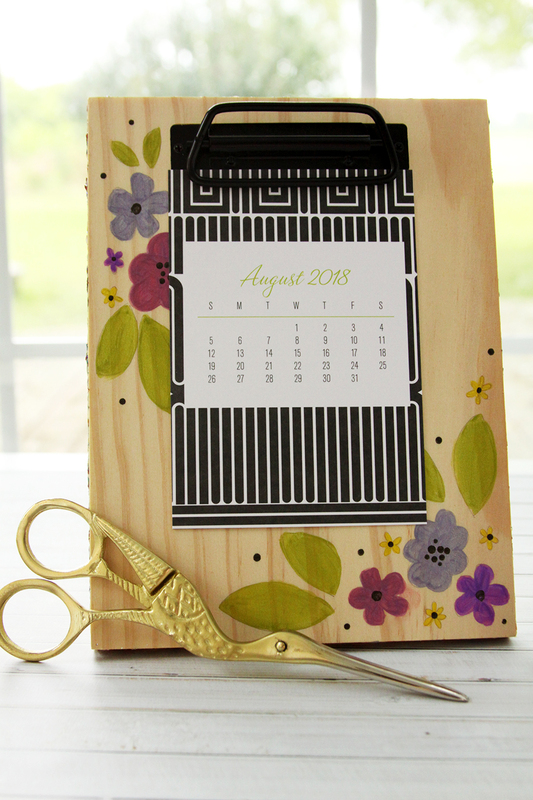 Back to School is the perfect time to get your tidy but it’s even more fun to make it cute at the same time! 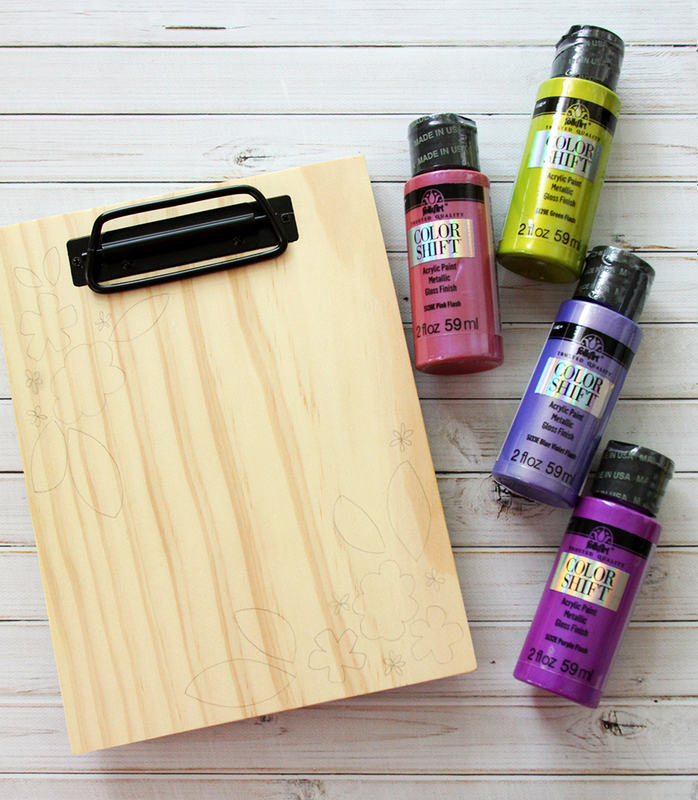 This Colorful Back to School Desk Set is perfect for a dorm room or small space. 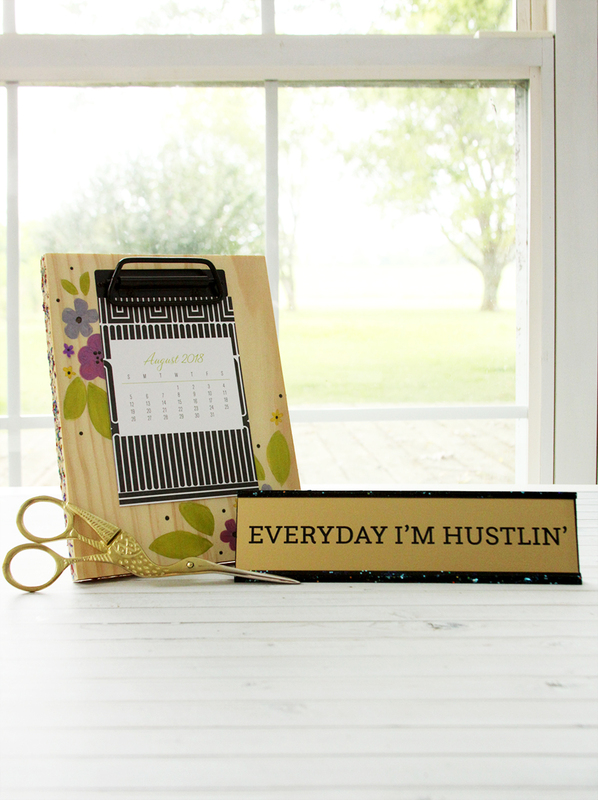 The clipboard is great for a small calendar but it would also be perfect for a frame or notepad too! 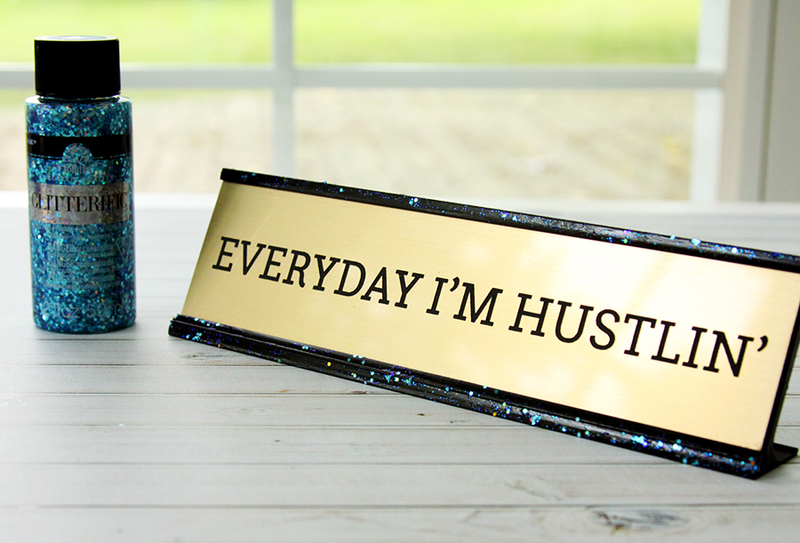 I decorated a matching desk sign as well – it is so easy to add a fun bit of glitter and color to personalize your space. 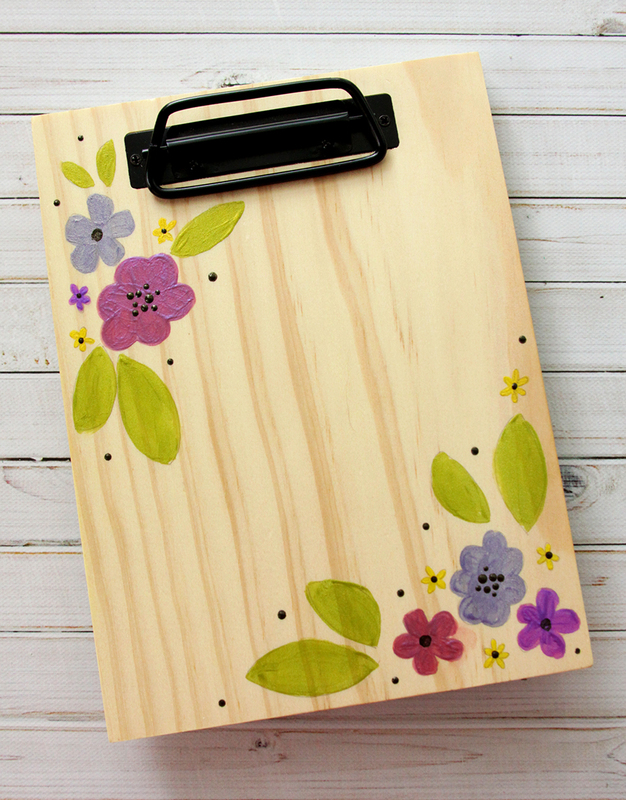 I used the FolkArt Color Shift to decorate the clipboard with some sweet florals and covered the sides in a coordinating style of Glitterific. It’s so colorful and fun! 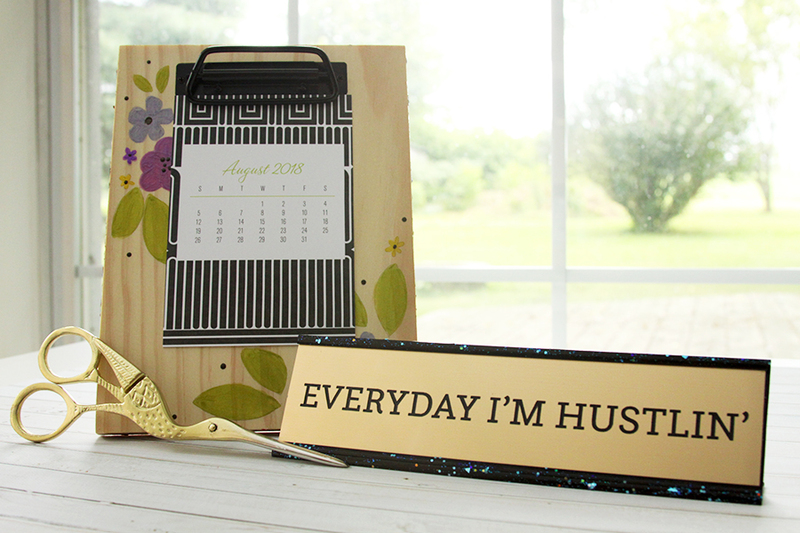 The desk plaque has FolkArtGlitterific on it as well – I love how it gives it a glittered galaxy effect. The set is so easy and fun to make! Sketch out the design you’d like to paint on the clipboard. Leave some space in the center so that you can see the flowers around whatever you’d like to clip in the middle. Paint in the designs with the Colorshift Acrylic paint. The colors have a glossy, metallic look and they are so pretty shifting in the different lights. 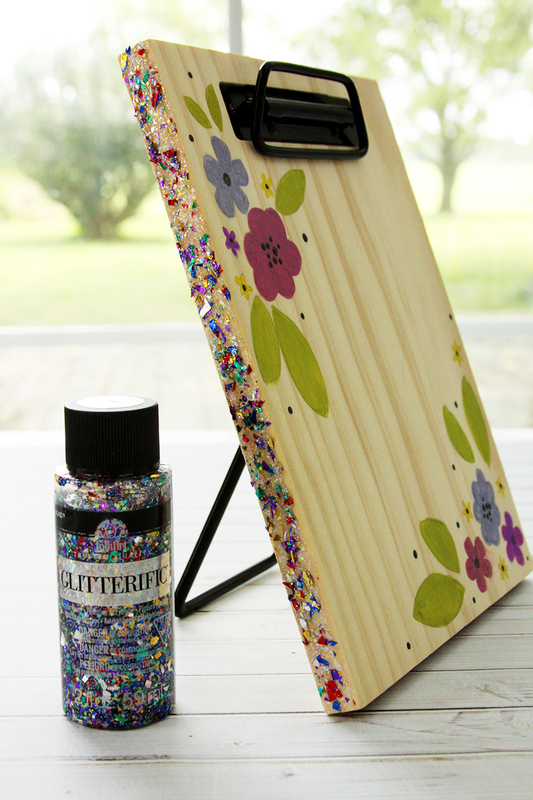 Once your flowers are dry on the front of the clipboard, cover the sides of the board with the Glitterific. You can also paint the sides with the Color Shift and add the Glitterific on top of the color for an even brighter effect. Isn’t it fun? 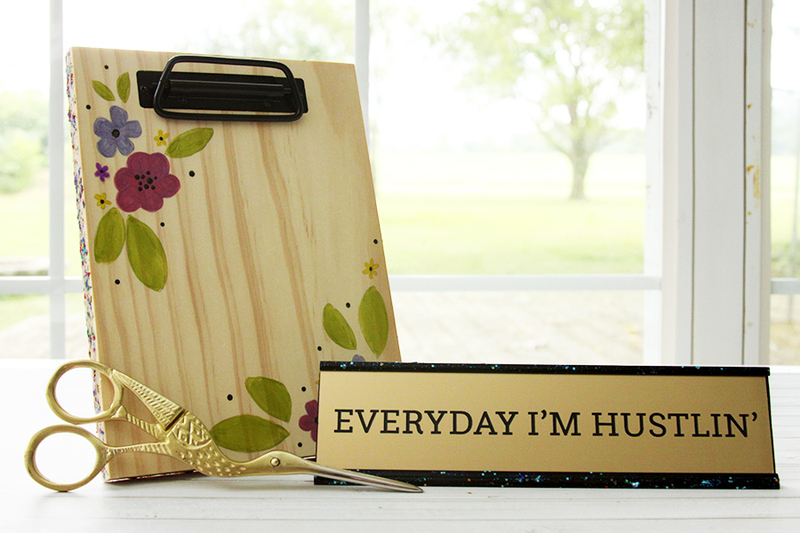 You can add some coordinating color to the Desk Plaque with a coordinating color of Glitterific. Since it’s a smaller area I chose a color that had fine glitter in it. 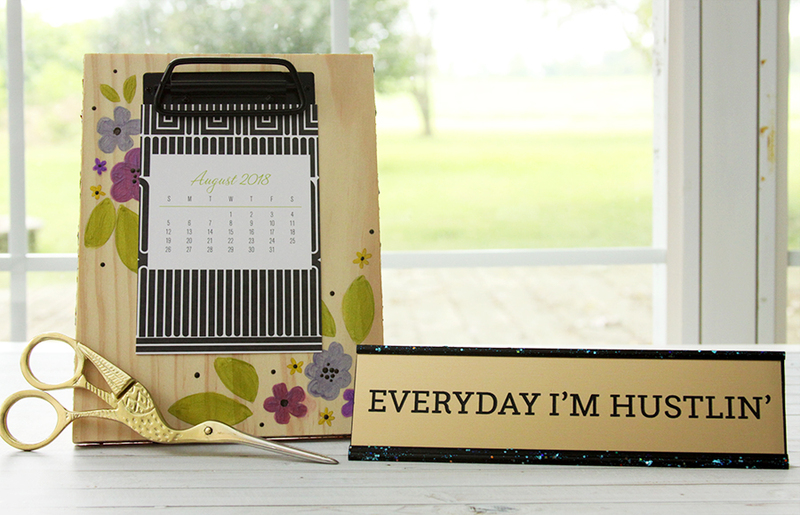 It’s so easy to dress up a few things to make your desk space more personal and fun! I’ll be sharing how to create this cute set on a Live tutorial on Plaid’s Facebook page at 2 pm EST on July 31! 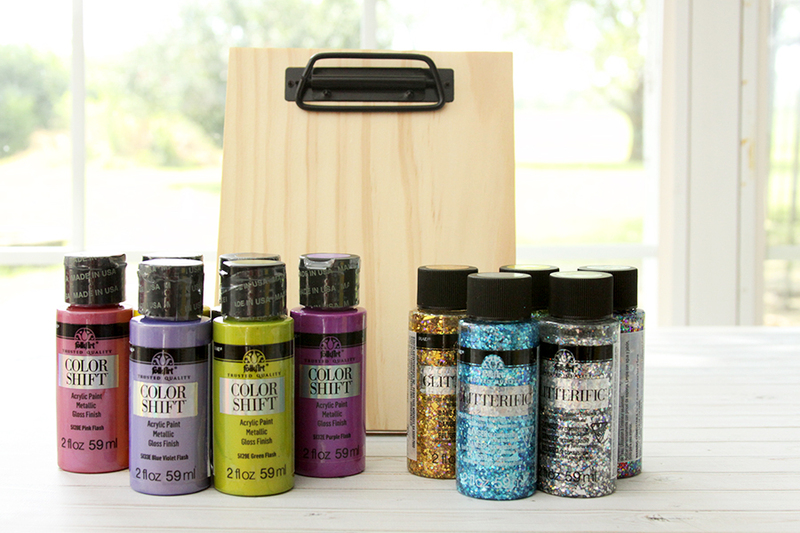 Come by and see how to paint up your own fun desk decor!